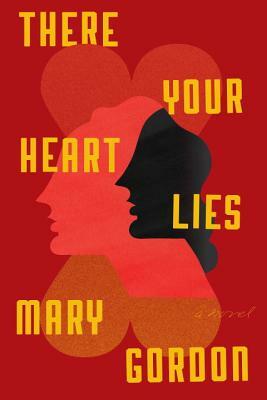 From the award-winning novelist Mary Gordon, here is a book whose twentieth-century wisdom can help us understand the difficulties we face in the twenty-first: There Your Heart Lies is a deeply moving novel about an American woman’s experiences during the Spanish Civil War, the lessons she learned, and how her story will shape her granddaughter’s path. Marian cut herself off from her wealthy, conservative Irish Catholic family when she volunteered during the Spanish Civil War—an experience she has always kept to herself. Now in her nineties, she shares her Rhode Island cottage with her granddaughter Amelia, a young woman of good heart but only a vague notion of life’s purpose. Their daily existence is intertwined with Marian’s secret past: the blow to her youthful idealism when she witnessed the brutalities on both sides of Franco’s war and the romance that left her trapped in Spain in perilous circumstances for nearly a decade. When Marian is diagnosed with cancer, she finally speaks about what happened to her during those years—personal and ethical challenges nearly unthinkable to Amelia’s millennial generation, as well as the unexpected gifts of true love and true friendship. Marian’s story compels Amelia to make her own journey to Spain, to reconcile her grandmother’s past with her own uncertain future. With their exquisite female bond at its core, this novel, which explores how character is forged in a particular moment in history and passed down through the generations, is especially relevant in our own time. It is a call to arms—a call to speak honestly about evil when it is before us, and to speak equally about goodness. MARY GORDON is the author of eight novels, including Final Payments, Pearl, and The Love of My Youth; six works of nonfiction, including the memoirs The Shadow Man and Circling My Mother; and three collections of short fiction, including The Stories of Mary Gordon, which was awarded the Story Prize. She has received many other honors, including a Lila Wallace-Reader’s Digest Writers’ Award, a Guggenheim Fellowship, and an Academy Award for Literature from the American Academy of Arts and Letters. She teaches at Barnard College and lives in New York City.